So I am most likely the only person on Earth who noticed that I didn’t post anything in October. I’d like to say I pre-empted author Philip Roth, who after an illustrious 50+ year career, announced he was retiring. But, nah, I was just messing around, looking for some new forms of podunkery to share. Let’s start with the fact that I stayed in my second nunnery within a 12-month period. It’s entirely possible that my travel agent believes I need more reformation that the Super 8 can offer. In any case, St. Gertrudes Monastery in Cottonwood, Idaho is my top travel pick of 2012. The creed or totem or whatever of the St. Gert’s nuns is “simplicity, hospitality, and justice.” Imagine Martha Stewart and Sandra Day O’Connor running a bed and breakfast with really good coffee on the caboose end of the Palouse. Although the sisters tried to keep me on the grounds by feeding me their addictive Benedictine applesauce, I went on the prowl to Keuterville, just down the holler from Cottonwood. When we arrived at the Keuterville Pub & Grub, we were greeted by the proprietess Linda. 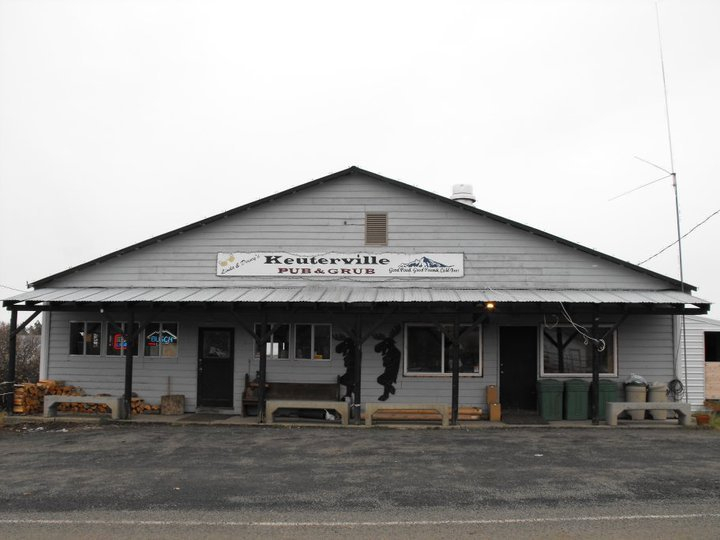 Did I mention that Keuterville is pronounced Cooterville? She seated us and then took a load off herself, handing us a Mead spiral notebook that served as her guest book. As I tried to think of a fake name, Linda started taking drink orders. “We’ve got home brew on tap,” she casually mentioned. By home brew, Linda actually meant craftbrew from Cottonwood (it became apparent I’d entered the twilight zone). Within moments, Linda’s grandson delivered a frosty Wolf Track Bushy Tail IPA. Linda asked if I was any good at pouring beer from a tap. I abandoned my project of thinking up a fake name for the spiral notebook and started thinking how to properly answer the question at hand. But Linda was too quick for me. “If you want another, just get up and pour it yourself,” she said. Oh my, I thought, and wondered what real estate prices were like in Keuterville. Once given that kind of encouragement, no one at my table seemed to mind when Linda confided that she wasn’t even going to bother taking our food order while they were experiencing a dinner rush, and then she nodded toward the only other table in the joint and the six camouflaged hunters occupying it. “It’s just Dewey back there on the grill so it’s not like he’s going to get to it anytime soon.” Mostly, she was correct. 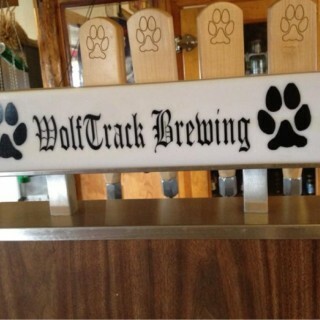 But given the unexpectedly delightful Wolf Track brews, the wait was entirely tolerable.